You’ve probably heard the joke “Churches are not full of hypocrites! There is always room for one more.” You see, the church is made of people and people are flawed. However, we don’t put our faith in people. We put our faith in Jesus. Jesus is at the center… not the fellow sinner sitting to your left and right. To deny Christ because of His followers is absurd. 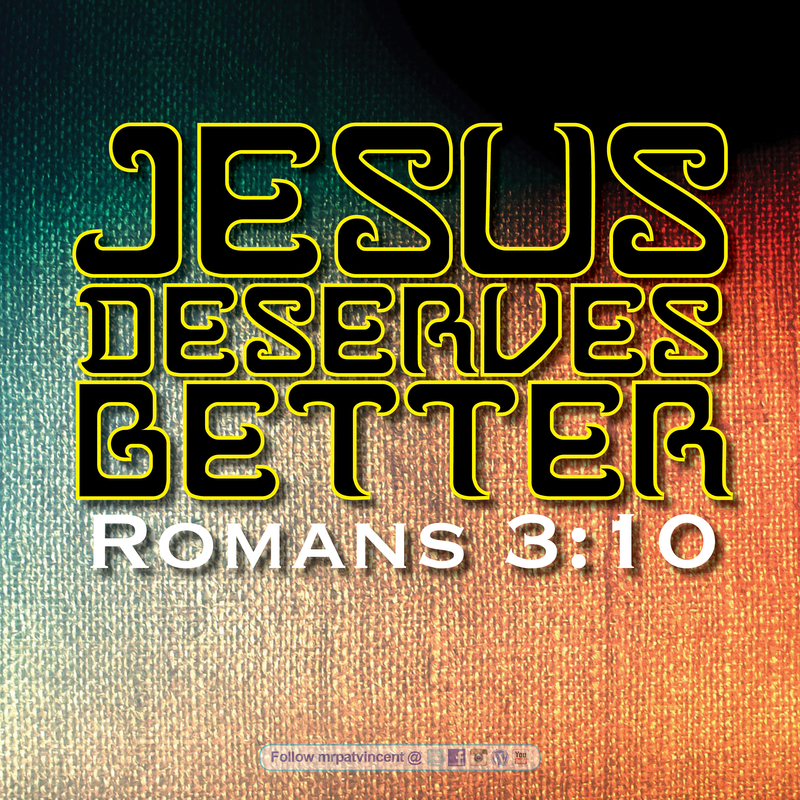 Jesus deserves better than us. That much is certain! We study and pray and we still fail. We get it wrong more than we get it right. We embarrass ourselves with our own hypocrisy time and time again. That’s because it is only through Jesus that we can ever succeed. When we rely on ourselves we are doomed to fail. God is the strength of my heart and my portion forever (Psa. 73:26). Jesus is our power source, not man! Like Mr. Stanley said, if we do not show you love and compassion – that is our fault, not God’s! Please do not risk your soul on the poor behavior of Christians! Do not look at the follower, look to the One we are following. We will let you down. Jesus will never let you down. This entry was posted in Christian and tagged Bible, Christ, Christian, Christianity, church, David, Faith, God, God Bless, God Loves You, God's love, God's Praise Room, Gospel, Heart of David, Holy Spirit, Jesus Christ, Lord, Love, Ministry, Not a Fan, Old Testament, prayer, Preach, Psalms, Religion, Religion & Spirituality, Salvation, Scripture, Worship. Bookmark the permalink.